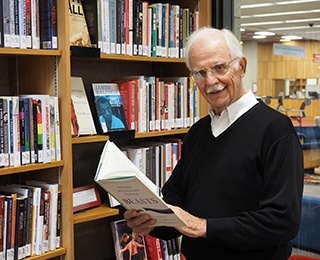 No surprise, the market for books about older adults is big and growing. Add this impressive number from Joseph Coughlin, founder and director of the MIT AgeLab: the growing older market is worth about $8 trillion in the United States alone and climbing. Let’s explore a handful of books published in the past year or so, starting with Coughlin’s The Longevity Economy: Unlocking the World’s Fastest-Growing, Most Misunderstood Market. As the older population expands and grows increasingly diverse, businesses need to pay attention, Coughlin argues. “Products for older people tend to reflect an arbitrary, outdated narrative of how old age should progress. Today, however, there’s a pioneering consumer class of people that is innately tech-fluent. And, because it’s made up mainly of boomers, it’s been long accustomed to shaping the economic and physical world around it. One thing this class is not is male. In the United States, women decide where between $5 trillion to $15 trillion go every year. 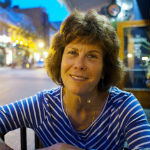 Within older age groups, the power of the female consumer is even more profound,” Coughlin writes. Financial expert Jean Chatzky teamed up with Cleveland Clinic Dr. Michael Roizen to write Age-proof: Living Longer Without Running Out of Money or Breaking a Hip. If you think that downsizing is a hot top in the publishing market you’re right. From Marie Kondo’s series of books about decluttering and organizing to countless newspaper articles about finding a home for family heirlooms, writers recognize that there is a captive audience out there — people in their 60s and older. The latest is from Marni Jameson, who has written a workbook to go with her popular Downsizing the Family Home. Described as part journal, workbook and scrapbook with how-to checklists, she helps homeowners decide which cherished items go and which ones stay, and how to deal with the range of emotions that downsizing evokes. Plus, she understands why people procrastinate. “Many of us would rather poke needles in our eye or eat rats’ tales than go through our stuff, much less our parents’ leftovers. Chief among the excuses is fear you will get rid of something truly valuable and not know it. Right behind that, though you won’t admit it, is the worry that you might have to face the fact that what you thought was valuable isn’t,” she writes in her blog. Beyond Downsizing: Are You Happy and Joyful? Getting rid of stuff in old age was not on the mind of New York Times reporter John Leland, as he followed six people over the age of 85. He wrote Happiness Is a Choice You Make: Lessons from a Year Among the Oldest Old. In a radio interview, Fresh Air’s Terry Gross asked Leland about examples of ageism his subjects encountered. I think that every person over a certain age can tell you that they hate being called sweetie or hun or dear. No, I am not years young. I am years old. And the daughter of Ruth Willig, who's the woman who had to move out of her assisted living facility, is kind of a very forceful woman. She would be out with her mother and someone would say, oh, your mother is so cute. And she would say, my mother is not cute. You know, my mother went to college during the war and became a microbiologist. My mother is tough. She raised four kids. And she went through the depression. And she is not cute. She's smart. She's loving. She's wonderful, but she's not cute. So that's the kind of ageism that could just really stick in your craw. “When I use the word aging, I mean becoming more of a person and more you over time. I keep an image in my mind of cheese and wine. Some get better with the simple passage of time. . . . Your very purpose in life is to age, to become what you are; essentially, to unfold and let your inborn nature be revealed. You let your ageless self, your soul, peek out from behind the more anxious, active self,” he writes. Gerda Saunders explains how she came to write Memory’s Last Breath; Field Notes on My Dementia. “When I turned 61 in 2011, I was diagnosed with cerebral microvascular disease, a precursor of dementia. I retired from my job as the associate director of Gender Studies at the University of Utah. Since I have always processed my life stages by writing about them, I started keeping a journal about the effect of my brain’s unraveling on my identity. Five years later, I completed a book-length memoir,” she writes. “We worked out a plan for me and my family whereby I would go somewhere where I could find a legal assisted death. At the moment, it does not look as though that would be possible for me in the United States, so that means we would have to go to another country. And so we have tried to financially provide for that possibility, and also emotionally prepare for that possibility with my family ... And I asked this gift of them, to do this for me. It is such a comfort to me, to know that my family loves me enough to want to give me this gift,” Saunders says. How about your winter reading list? What have you enjoyed reading and what’s on your wish list this year? We’d love to hear your comments. 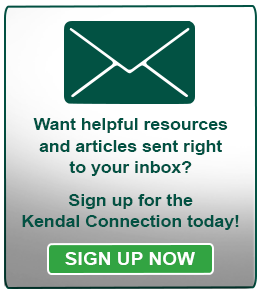 Have you signed up for our Kendal Connection email yet? You can sign up here to receive our weekly emails that include helpful articles on active living, life-long learning and health tips.